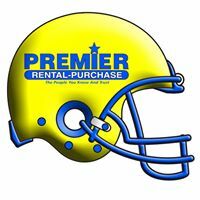 Our friends at Premier Rental Purchase in North Conway are celebrating this year’s football season with their very own Fantasy Pick’em League! It’s FREE to sign up and it’s a great opportunity for you to win some great prizes from some amazing local businesses! Owner Sean Young and Ed Garrison dropped by the Magic Morning Show to talk with Gino and told us all about it. Listen below! To participate in Premier’s Fantasy Pick’em League drop by their showroom or follow them on Facebook. The deadline to enter for the first week’s game is this Sunday (9/08) at 12pm.